Far less memorialized is Grace Lee Boggs's foundational role in articulating a new brand of class politics rooted in the experience of black workers. Such kind words from the Oval Office might have surprised a younger Boggs, who spent years writing — like most socialists of her day — under a pseudonym designed to protect against the virulent red-baiting that loomed over the post-war American left. Today, Boggs is perhaps most popularly remembered for her work later in life, building up community institutions throughout Detroit: the Boggs Center to Nurture Community Leadership, the Detroit Summer program, a number of cooperative businesses and community gardens, even a charter school named in her honor. Less memorialized are Boggs and her late husband James’ deep involvement in the development of their city’s black freedom movement, and foundational role in articulating a new brand of class politics rooted in the experience of black workers. During World War II, African Americans in the South migrated north to Detroit’s “Arsenal of Democracy,” where defense contracts offered steady, lucrative employment seemingly outside the grasp of Jim Crow. In all, 1.5 million African Americans left the South between 1940 and 1950, a time period during which Detroit’s black population more than doubled. Northern whites — eager to maintain racially homogenous neighborhoods and workforces — fought new arrivals, organizing bands of vigilantes to terrorize new black Detroiters. Tensions culminated in the city’s brutal riot of 1943, where 25 of the 34 people killed were African American, along with 75 percent of the 700 injured. As the war economy slowed, workers of color were relegated not only to divested areas of the city, but some of the most dangerous, poorly-paid work the Motor City had to offer. In the 1970 documentary “Finally Got the News,” one worker recalled the treatment of a colleague who “lost his finger at the second knuckle.” After receiving $3,000, his supervisors “wanted him to come back to work two days later … producing with the bandages and all that.” Such violence and flagrant discrimination in jobs and housing catalyzed a vibrant culture of organizing in black Detroit — much of it, early on, stemming from churches and radical congregations, like that of the legendary preacher Albert Cleague. Boggs followed an entirely different path to Detroit. While she boasted a PhD in philosophy from Bryn Mawr, the academic job market for young Chinese-American women in the 1940s was none too kind. 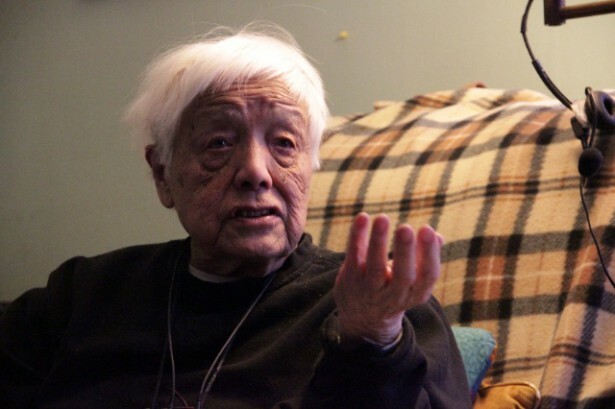 Unable to find work as a professor, Grace Lee — not yet Boggs — took a job in a University of Chicago library, and quickly started organizing tenants to take on the city’s slumlords. Getting increasingly involved in Chicago’s socialist party politics, Lee followed theorist and “Black Jacobins” author C.L.R. James to New York, where she, James and Raya Dunayevskaya coalesced around a shared distrust for Soviet-style “state capitalism” and a commitment to the centrality of black workers’ struggle. She met James “Jimmy” Boggs in 1952 through working on the group’s left paper, Correspondence. He was an autoworker who’d moved from Alabama to Detroit to work in the factories and, as Grace Lee Boggs recalled of her husband in her 1998 autobiography, he “was a prototype of the kind of individual for whom the newsletter was being created.” Less than a year after their first encounter at a Correspondance-run school for rank-and-file workers in 1952, Boggs and Lee married and moved to Detroit. In “Faith in the City,” a history of 20th century black organizing in Detroit, Angela Dillard wrote that, “If cross-generational influence was indeed key to the development of political radicalism in 1960s Detroit, Grace Lee and James Boggs personified that influence.” Boggs was so deeply enmeshed in Detroit’s black organizing scene, in fact, that the FBI once mistakenly referred to her as “Afro-Chinese.” Through the end of her life, Boggs provided a rare model of an “engaged intellectual,” never losing sight of the relationship between the movements that surrounded her, the conditions they emerged from and the theoretical rigor that could drive them forward. What’s more, the writing that emerged from this ecology is an almost eerie preview of debates that would captivate progressives for the next half-century: the role of race, democracy and solidarity within industrial unionism, and how emergent movements for black liberation map onto fights for justice in the workplace. As she aged, Boggs’s “dialectical humanism,” which had always placed a strong emphasis on the value of personal transformation, drifted further away from traditional class politics and toward a focus on the moral and cultural dimensions of social change work. As she told Bill Moyers in 2007, “We have not emphasized sufficiently the cultural revolution that we have to make among ourselves in order to force the government to do differently.” Nevertheless, she died — by all accounts — surrounded by a community she worked for over six decades to build. Her theoretical contributions and movement-building work continue to find voice in some of today’s most influential uprisings. As Barbara Ransby recently argued in Dissent, a close attention to economic inequality lies at the heart of today’s movement for black life: “In speech after speech, the leading voices of this movement have insisted that if we liberate the black poor, or if the black poor liberate themselves, we will uplift everybody else who’s been kept down.” Ransby noted that some of the most visible leaders in the movement for black lives have spent years honing their skills and analysis in organized labor. 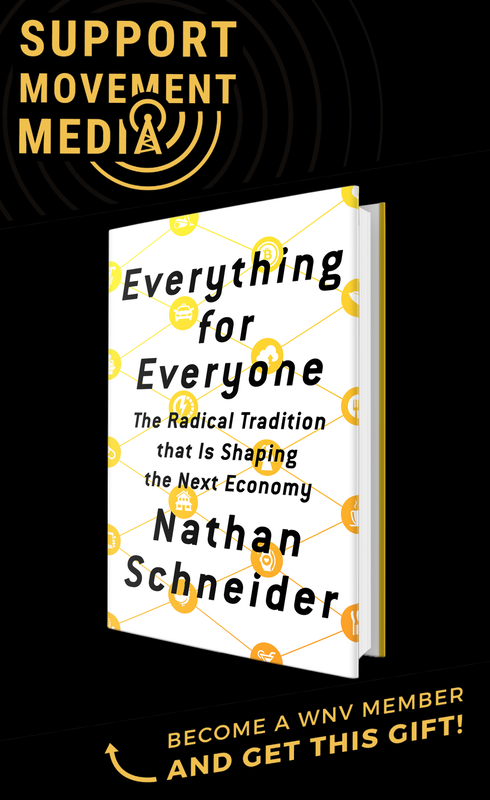 “The larger left has to support, recognize and embrace Black Lives Matter, not as secondary, but as central and potentially catalytic for a broad and far-reaching transformative agenda.” Like Boggs, Ransby makes clear that there’s no contradiction in building movements for racial and economic justice: the two, in many ways, are already one in the same.